Center Scott Quessenberry talks about the phone call he received from Jim Mora on Sunday, what his last game at the Rose Bowl will be like this week and his feelings on Jedd Fisch being named the interim head coach. Center Scott Quessenberry talks about Josh Rosen‘s return to practice, his feelings about approaching the end of his college career and his reaction to seeing Darren Andrews go down last weekend. Center Scott Quessenberry on seeing Josh Rosen go down again Saturday, what it takes to be successful on the road and working with Devon Modster. 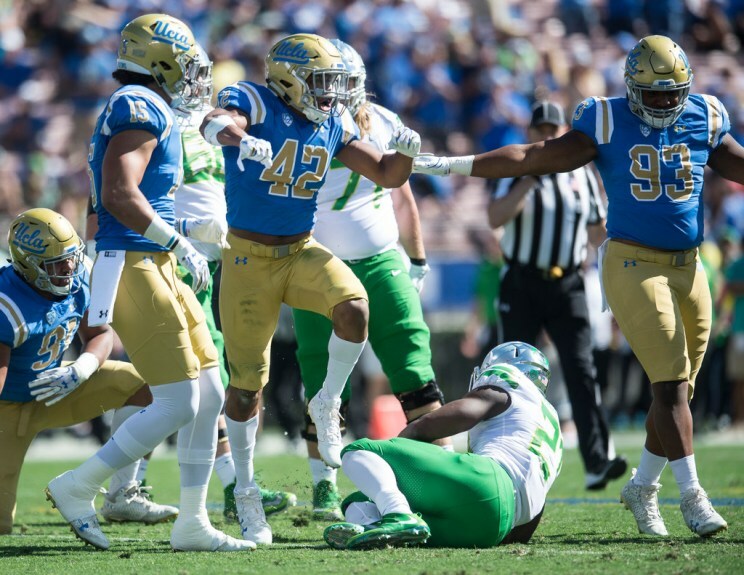 Defensive back Adarius Pickett and center Scott Quessenberry talk about rebounding from another loss and how the Bruins will stick together at the mid-point of the year.